September had been an art marathon month for me. First, the solo exposition at the Sophie Maree Gallery in The Hague. 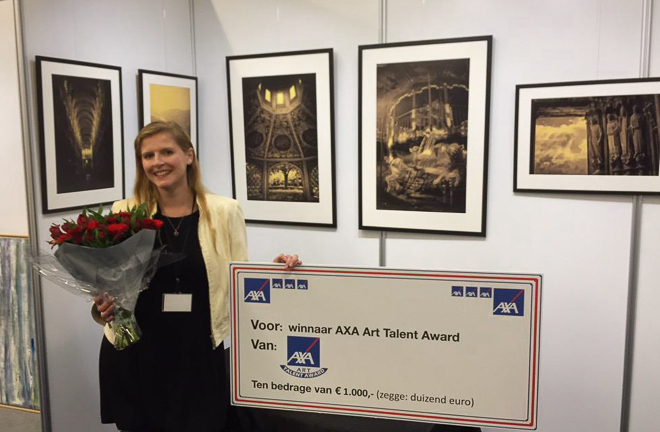 And two weeks later taking part at the Annual Dutch Art fair (ADAF). On the last weekend of September 250 painters, sculptors, art photographers and other artists presented their work at the World Fashion Center in Amsterdam. I have seen awesome artworks, met amazing people and enjoyed much interest from the public. It was a very busy, fun and inspirational weekend. I got so many wonderful reactions on my art, and it meant a lot to me to see that my work touches people and speaks to them. 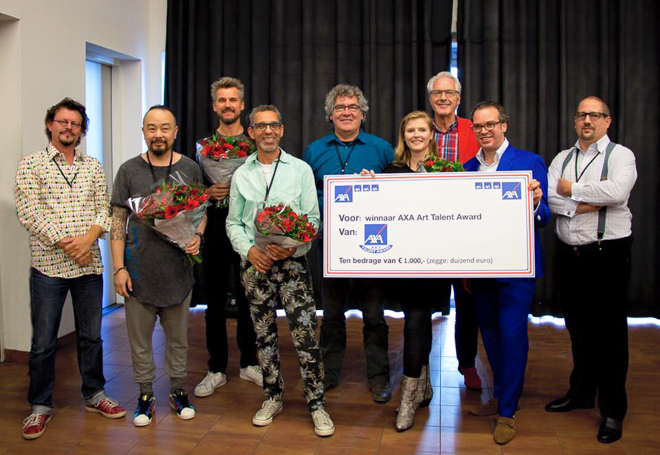 At the end of the event came a huge surprise: from among all these talented artists I was chosen by the experts for the first prize – the AXA Art Talent Award accompanied by a 1.000 euro cash prize. I am truly honored to receive the award but I am also humbled and grateful for all the warm and enthusiast reactions I received from the fellow-artists, the ADAF organizing team, the experts, and from all my friends. Thank you so much for your inspiration, interest and support, dear friends!